Guests will enjoy cocktails from Parts & Labor, dinner by Donna's, and the musical stylings of the Blake Meister Jazz Quartet. 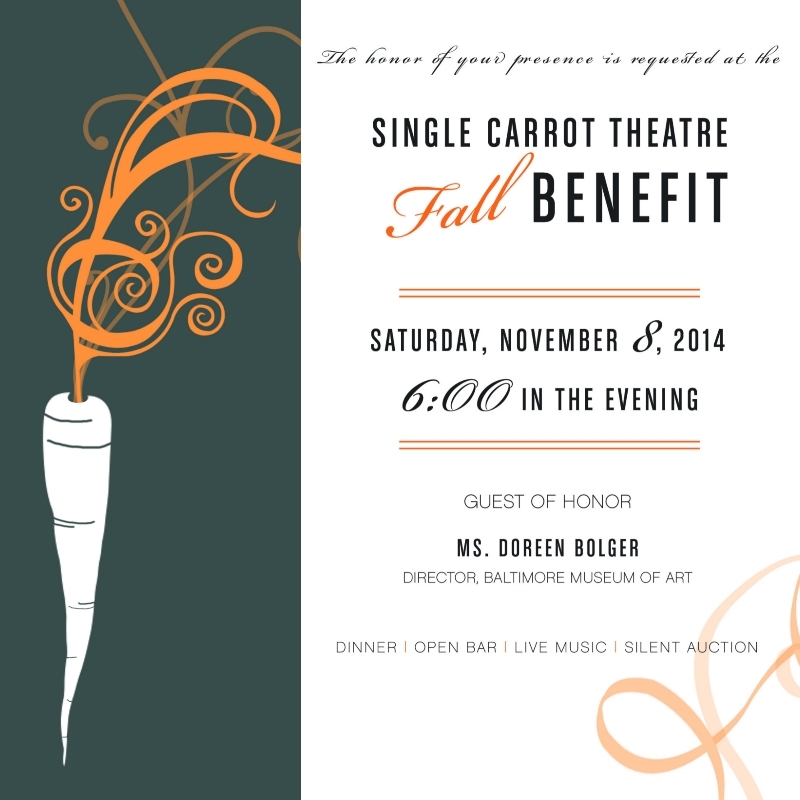 And don't forget the silent auction, photobooth and multimedia tribute to Doreen! TICKETS: Eat, drink, schmooze, and do good for the pretty price of $100 per ticket (or $40 if you're a Member). “SOCIAL CREATURES” @ SCT IS A HIT! GET WILD AT THE PRATT LIBRARY THIS OCTOBER! MANY ACTIVITIES THIS WEEK @ CREATIVE ALLIANCE!